It is yet to be ascertained as to what exactly caused the phenomena, but there is a possibility that the crater might be caused by a meteor, he said. KOCHI/ THIRUVANANTHAPURAM:Bright fireballs and sonic boom were reported from various parts of the state on Friday night spreading panic, but .. The fireball appeared with a noise in many parts of Kerala, including Ernakulam, Vypin, Paravoor, Kolenchery, Fort Kochi, Willington Island, Thrissur, ... NOTE- several of the photos posted ARE NOT of this event! 27FEB2015 K S SHARAN KERALA, India 21:45PM 8 South-north redish SUN YES MANY PLACES There were observed lot of fire balls falling across in the sky. Which even landed at few places. It was huge fire ball. seen at many places. Dashcam footage has captured the meteor that lit up Melbourne's skyline yesterday. While my sister was sitting outside on the porch as this 'fireball' crossed the sky, I was sitting inside on the couch, looking at my computer screen. A FIERY meteor shower has been captured in rare footage streaking across the sky in Melbourne. Residents in Rocky Mountain states such as Idaho, Utah and Montana reported seeing the rocket as it disintegrated in the atmosphere about 70 miles .. The first vision of an extremely rare 'daytime meteor' that shot across Melbourne on Wednesday morning had emerged online. Calgary photographer captures stunning shots of fireball west of the city ... but what was it? At least 198 reports of the fireball were submitted to the American Meteor Society from states such as Washington, Montana, Idaho, Nevada and Utah. The lights were not a meteor but a Chinese rocket booster that broke apart, said Maj. Martin O'Donnell, a spokesman for U.S. Strategic Command. Ted Maloney was one of the witnesses of the train derailment in Oxnard, California. He speaks with CNN's Erin Burnett about running in to help. VIDEO -- VIDEO of Florida Fireball! JACKSONVILLE - Over 100 people reported seeing bright lights in the sky and hearing a window-rattling boom as a meteor fell over northeast Florida. It was first thought to be a meteor, but reports say a worker with NASA has identified it as a piece of a Chinese satellite that launched in December. ... the fireball--and nearly 50 of those people reported hearing a loud "window rattling" boom after seeing it, according to the American Meteor Society. Met Meteorite huge long saw it for 60 sec filmed for 22sec. The American Meteor Society received more than 160 reports of bright fireballsightings clustered around Lake City, Florida over the weekend. Others have posted their images of the fireball, and Zeller's photos have even made waves south of the border, going on the air in newscasts in Utah. Jeff Gaddie's security camera caught what appears to be a meteor streaking across the sky in St Augustine, Florida. ... a bright light and loud boom across the North Florida skyline all the way up to Georgia. These reports may be connected to a possible meteor sighting. Social media has been flooded with tweets of this reported meteor sighting. One person in Green Cove Springs described it as a huge boom. VIDEO: A meteor falling from space was caught on a security camera last night by a home owner who heard the sonic boom but didn't see the meteor. Fireball Meteor St Augustine Jacksonville 02-21-2015. PITTSBURGH (CNN) - NASA cameras at the Allegheny Observatory in Pennsylvania captured an image of a 45,000-mile-an-hour meteor. (CNN) -- NASA cameras at the Allegheny Observatory captured an image Tuesday of a 45,000 mile an hour meteor above the Pittsburgh area. Video news report about Pennsylvania Fireball. The skies above New York, Pennsylvania and Ohio were recently illuminated by a 500 pound fireball meteor going 45,000 miles per hour. While conditions are favorable for meteor observing during this period, hourly rates are expected to be low, especially from the northern hemisphere. View the photo 500-Pound Fireball Illuminates Pennsylvania, Ohio, New York Pre-Dawn Skies on Yahoo. Find more photos in our photo galleries. By: The Associated Press KITTANNING, Pa. -- A meteor moving at 45000 mph lit up the sky over western. NASA captured video of a meteor streaking across the sky in Pennsylvania earlier this week. The meteor created a fireball in the sky, and startled some residents. ... Center said the meteor weighed about 500 pounds before it disintegrated. NASA caught the meteor on camera as it crashed into Earth's atmosphere at 45,000 miles per hour. KGO. Wednesday, February 18, 2015 12:00AM. 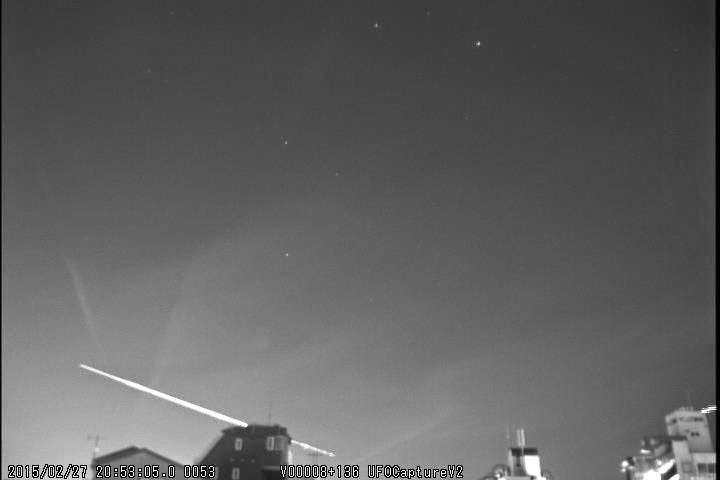 This is the moment an observatory in Pittsburgh, USA, captured a meteor streaking across the night sky at 45,000mph early on Tuesday morning. A 500-pound fireball meteor going 45,000 miles per hour caught by NASA Meteor Watch cameras, illuminated skies above Pennsylvania, Ohio and ..
NASA confirms space rock sighting visible in three states. A WTAE viewer witnessed the fireball which she's says lit up the entire sky while she was taking her dog outside. Currently, the American Meteor Society shows on its website dozens of self-reported logs from people who submitted reports that they saw the meteor. Bill Cooke of NASA captured the meteor on camera, which was seen by people in Ohio and Pennsylvania, as well as WNY. Now, NASA's Meteoroid Environments Office confirms the fireball that many Western New Yorkers reported seeing around 4:50 a.m. Tuesday morning. Video from NASA of reported meteor seen in WNY. Originally, astronomers thought that the Chelyabinsk meteor came from a 1.24-mile-wide (2 kilometers) near-Earth asteroid called 1999 NC43. Green Meteor/UFO Perth last night, 14th Feb, 2015. Meteor Explodes Over New Zealand - posted in Space Rocks: Seen this on the news tonight.. http://www.nzherald....jectid=11400450. Looked like a big fireball.” This morning, experts are agreeing that the bright explosion and thunderous sonic booms can be attributed to a meteor. 12 (UPI) -- A New Zealand man's dashboard camera captured the moment an apparent exploding meteor lit up the night sky over the North Island. 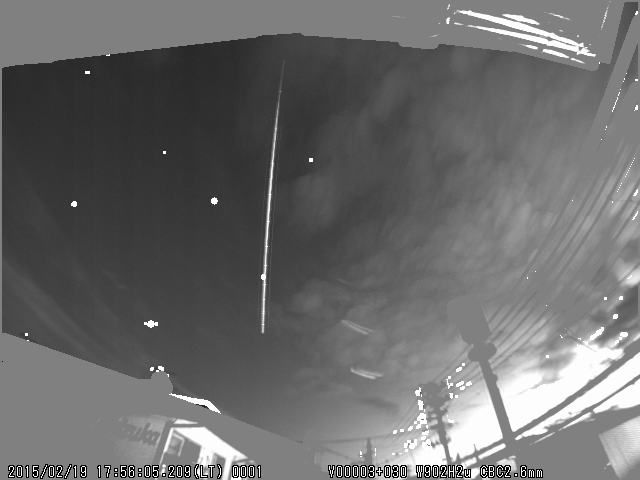 Meteor Dash Cam 11.2.2015 Tauranga, New Zealand. Dash Cam footage of brilliant meteor in New Zealand! This is the moment a fireball meteor burned through the skies above northern New Zealand on Wednesday evening. 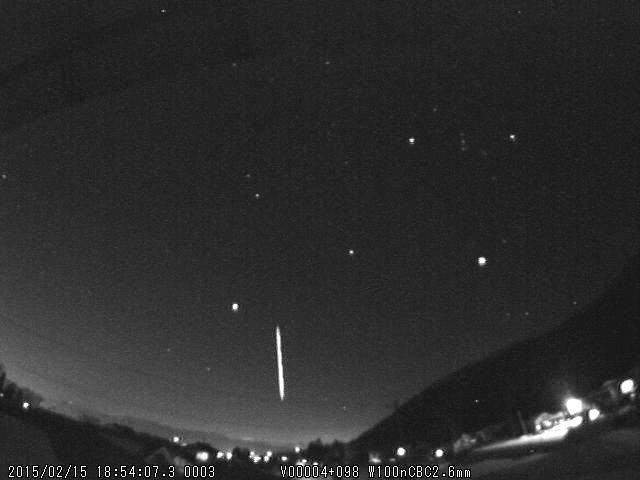 Meteor caught over New Zealand 11.02.2015 Meteor caught over New Zealand 11.02.2015 Meteor caught over New Zealand 11.02.2015. Last night's colourful sky display has had many people talking today. If you managed to catch a glimpse of last nights meteor as it flashed across the sky count yourself lucky. Nice dash cam of a meteor exploding over New Zealand.. Spectacular meteor lights up NZ sky - but where did it land? Footage captured of the flash caused by a suspected meteorite. Taken 9.59pm 11/02/2015 in the Auckland CBD. Audio has been removed. A meteor which flashed across the skies across the North Island exploded 20 to 30 kilometres above the earth, an expert says. * Did you see it? Public 'privileged' to view spectacular low-flying meteor. updated 08:02. Published: 6:03AM Thursday February 12, 2015 Source: ONE News. On my way to the gym when bam this comes out of no where. I actually thought it was Lightning. Pretty cool to have seen it happen little ol' New .